Govt Ferry in the Andaman Islands are operated by Directorate of Shipping Services (DSS); who run these ferries between Port Blair, Havelock Island, Neil Island & many other islands which aren’t as popular such as Hut Bay (Little Andaman), Long Island, Mayabunder, Rangat, Strait Island, Campbell Bay, and more. The department primarily operates for conveniences of local islanders and they sell highly subsidized tickets to them; since for the Islanders, this is the only way to commute. There is no way to book these tickets online; since the department allows to book these tickets only by queuing up at their counters. Tourists can get tickets to Government Ferries by contacting their local travel agents, or by physically queuing up at the counters. 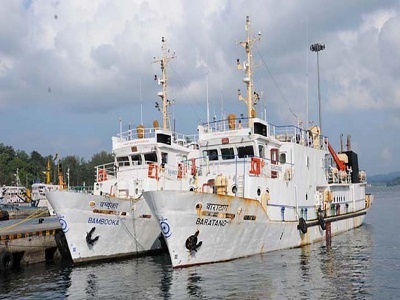 We would like to specifically point out the ferry situation for the popular islands in Andaman. Getting yourself a ferry ticket can be incredibly difficult & painful (so for your travel agent) during the peak season (Oct – Jan). The authorities aren’t most cooperative around this time; since there is way too much demand than the supply. For foreign nationals, RAP Number is required while making the reservation; thus it is only possible to get your tickets after you have arrived. You can ask your travel agent to help you with the tickets. 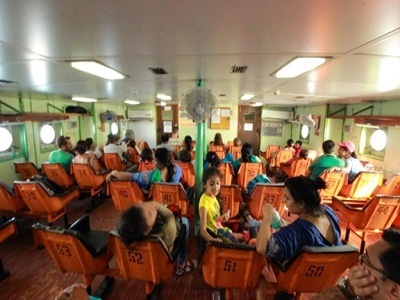 As in case of Little Andaman, Govt Ferry tickets for other islands where tourists are permitted to travel can be arranged relatively with ease as compared to the situation in Havelock & Neil Island. Please check the official website for more details on the sailing schedule. The DSS keeps changing schedule based on the supply of ships and demand on sectors. Air: To travel to the Indian union territory of Andaman and Nicobar Islands, it is most convenient to avail the airport located in the capital city called Port Blair. From this place, one can easily travel to the important cities of mainland India like Chennai and Kolkata. Flights are operated regularly between Chennai, Kolkata and Port Blair. A few major airlines that operate such flights are Jet Airways, Indian Airlines and Air Deccan…Veer Savarkar International Airport, Port Blair. The Andaman and Nicobar Islands stand in the midst of the Bay of Bengal. Therefore, one should not miss the fascinating experience of reaching Andaman and Nicobar Islands by ship. Passenger ships connect Kolkata, Chennai and Vishakhapatnam, which are major cities of mainland India with Port Blair. These ships are available on a regular basis and help one to make a tour to Andaman and Nicobar Islands. On an average, in a month, 3 or 4 ships are available from Chennai and Kolkata to travel to Port Blair. 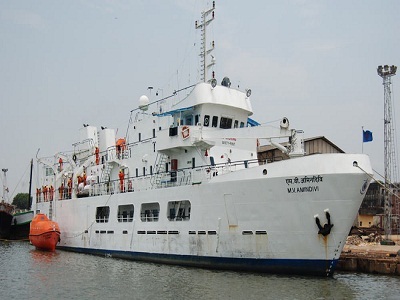 From Vishakhapatnam, one ship is available per month to travel to Port Blair. It takes around three days to reach Port Blair by sea. A ship generally halts for around 2 days at the seaport before leaving it to start a reverse journey, that is, from Port Blair to Kolkata, Chennai and Vishakhapatnam. The ferries can take up to five days to arrive depending on weather and various other variables. Taxi: The major mode of transport is by roads and there are also the island water transport and sometimes air transport. A stretch of 240 kilometres between Port Blair and Maya Bunder is covered by bus transport. In between Port Blair and Maya Bunder, two islands lie and the buses and passengers are ferried by boats. The islands that have to be crossed are Baratang and Kadamtala islands. Then a city called Rangat has to be crossed to reach the destiny. From Maya Bunder they have to change the busses to travel uptoKalighat, Diglipur which is the end point of Andaman. Bus: Hundreds of buses run between Port Blair and south Andaman convenience of the passengers. Apart from the busses tourist taxis, maxi cabs and call taxis in the islands the bus service offered by the government are limited. Details on Intra island transport and shipping service, traffic contacts can be enquired with the director, shipping service, A $ N administrations, Phoenix Bay, Port Blair-744101. Phone: 232752/232742. Train: Andaman doesn’t have railway station. Chennai Central (MAS) is a closed railway station connected to Mumbai for being nearest to Andaman on rail route.